GAFSP announces its next call for proposals in the Public Sector Window for programs and projects that strengthen agriculture and lessen food insecurity in low-income countries. GAFSP intends to fund 4-6 proposals for a total of at least US$100 million. Applications (English and French) are limited to 24 countries in fragile and conflict-affected situations: Africa, Middle East and North Africa, East Asia and the Pacific, Eastern Europe, Latin America & the Caribbean, and South Asia. For the first time, GAFSP is providing technical assistance for proposal preparation. Application for proposal preparation assistance have to be submitted by 15 April 2019. The closing date for full applications is 10 September 2019. VLIR-UOS is the secretariat of Flemish universities for development cooperation, with funding by Belgian Development Cooperation. VLIR-UOS announces cooperation activities for 2020 between its member universities and partner universities and networks in the developing world. The partner countries are Bolivia, Cambodia, DR Congo, Ecuador, Indonesia, Kenya, Morocco, Peru, Philippines, South Africa, Rwanda, Tanzania, and Vietnam. Current calls include the JOINT (€ 90 thousand) and South Initiatives (€ 70 thousand), each with a deadline on 14 May 2019. InterAction encourages photographers from all around the world to submit powerful photos that illustrate innovative, effective, and inspiring efforts in international relief and development. 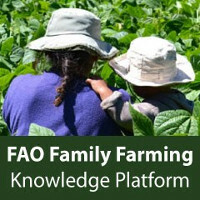 Examples of empowering women, innovative technology, food security and environmental development are within the contest’s theme, though entries are not limited to those areas. The Grand Prize Winner will receive US$ 1 thousand and the winning photo will be showcased at InterAction’s 2019 Forum in June 2019. The deadline for submissions is 22 April 2019. 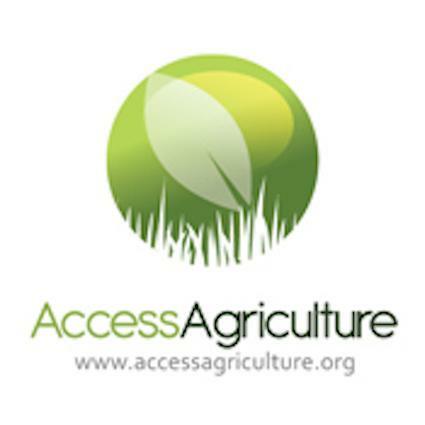 The Agri-Tech Catalyst aims to increase the pace and scale of uptake of agricultural innovation by farmers in Africa. Projects should focus in any of three categories: early-stage technical feasibility; industrial research; or late-stage experimental development. Project leaders must be UK businesses (or UK research organizations in the case of early-stage technical feasibility), but have to include at least one consortium member from an eligible African country. The amount of project co-funding available varies from £100 thousand to £1 million depending on category and business size. The deadline for registration is 29 May 2019. The Rescued Tools Foundation (Stichting Gered Gereedschap) collects and refurbishes discarded tools and small items of equipment in the Netherlands for the benefit of recipients in Sub-Saharan Africa. The priority countries are Uganda, Malawi, Tanzania and Ghana. The Foundation favors projects that offer opportunities for women, marginalized groups, co-operatives, and ecological awareness and environmental protection. Organizations that meet the Foundation’s criteria for assistance can fill out an application form. Misereor is the international development agency of the Catholic Church in Germany. Its mission is to fight hunger, disease, poverty, and other forms of human suffering in Asia, Africa, and Latin America. Issues and themes include climate change and justice; food security and agriculture; access to land; energy for the poor; and extractive industries. Misereor posts guidelines in multiple languages regarding how to request funding support. Applications can be sent at any time. SAF and MSU partner to bring you a new online course! Register now! This short course, curated by Michigan State University’s Forest Carbon and Climate Program, will develop foundational knowledge in the relationship between climate regulation, Forests, and Forest Carbon. In five modules, the course covers the 1) Carbon Cycle and Storage, 2) Humans, the Global Carbon Cycle, and Terrestrial Sinks, 3) Forest Ecosystems and Carbon Storage, 4) Forest Ecosystem Carbon Pools and Fluxes, and 5) Disturbances and their Carbon Impact. Each module will outline its respective learning objectives. Course content will include recorded presentations, links to online resources, and recommended reading. Course content will be accessible starting April 19. The First Solar Corporate Charitable Fund seeks to improve the quality of life in communities around the world. Priority areas are “green” education; access to clean energy and water in underserved areas; and the development of innovative and sustainable technologies. In support of these objectives, the Fund donates solar modules and systems. Applications may also include a request for a grant (US$10 thousand to US$15 thousand) to help with project support. The next deadlines for proposals are 01 May, 01 August and 01 November. SNV invites expressions of interest from private sector-led agribusinesses to co-invest in the implementation of business models under the Climate Smart Agriculture East Africa Project (CSA-EA). The goal is to increase the availability of accessible climate smart food for the population in Kenya, Tanzania and Uganda. Selected SMEs and cooperatives will receive a maximum co-investment of 50% or €200 thousand, whichever is lower, for the proposed solutions. Small and medium enterprises (SMEs) and Cooperatives based in Uganda, Kenya, and Tanzania are eligible to apply. The deadline for the submission of expressions of interest (EOIs) is 30 May 2019. The International Centre for Biosaline Agriculture (ICBA) launches the Arab Women Leaders in Agriculture “Awla Fellowship”. The Awla Fellowship is a capacity building program and agricultural research fellowship. Theme in the first fellowship cycle is about “The role of women in agriculture prosperity”. Participants will receive research and development training, coaching and mentoring to guide their career development. Eligibility extends to Arab women researchers from Egypt, Jordan, Lebanon, Palestine, Algeria, Morocco, and Tunisia. The deadline to apply is 15 April 2019. The Natural Environment Research Council (NERC) invites proposals to its Global Partnerships Seedcorn Fund 2019 call. The Fund allows UK environmental science researchers to forge new partnerships and networks with international researchers from developing countries. Activities under this grant scheme may include, but are not limited to, programmes of exchange visits, scoping studies, proof of concept studies and workshops. Awards are up to a maximum of £100 thousand for two years. The deadline to submit a notification of intent is 15 April 2019. UK Aid Direct funds community projects addressing urban poverty. Actions under this call within the scope of the Terra Viva Grants Directory may focus on sustainable agriculture, water resources, or energy access, among others. Grants of up to £250 thousand are available for projects lasting 3 years or less. Community Partnership Grants are to small organisations registered in the UK or in a developing country worldwide (full list in the announcement). The deadline for submitting applications is 17 April 2019. UK Aid Direct funds projects addressing urban poverty. Actions under this call within the scope of the Terra Viva Grants Directory may focus on sustainable agriculture, water resources, or energy access, among others. Grants between £250 thousand and £4 million are available for projects lasting between 3-5 years. Impact grants are to small, non-profit organisations registered in the UK or in a developing country worldwide (full list in the announcement). The deadline for submitting applications is 17 April 2019. Unleash invites young experts from all around the world to participate in the 2019 Innovation Lab in Shenzhen (Nov 2019) to create real, scalable solutions towards the Sustainable Development Goals (SDG). Teams will explore real-life challenges within the SDG themes, before defining specific problems and coming up with solutions. The top teams will present their solutions to investors and experts. Applications are open to academics, entrepreneurs, intrapreneurs and technical experts from for profit and non-profit organizations. High proficiency in English with the ability to engage in complex discussion is necessary. The deadline for applications is 18 April 2019. Chatham House, the Royal Institute of International Affairs, offers academy fellowships to international leaders. Applicants are recommended to consider existing research programmes that include climate change and the incorporation of the Sustainable Development Goals (SDGs) by international organizations. The fellowship is aimed at mid-career professionals from academia, NGOs, business, government departments, civil society or the media. The fellowship is open to candidates worldwide. Selected candidates will receive a monthly stipend of £2,295 throughout the 10 month duration of the fellowship. The closing date for applications is 29 April 2019. CRDF Global announces the Biorisk Management Engagement Grant (BMEG) Competition. The goal of the competition is to provide support for biorisk management activities, such as laboratory design, repairs and maintenance of equipment, workshops and trainings at academic and industrial institutions in the MENA region. Finalists will be awarded US$15 thousand. Only applications from Algeria, Egypt, Jordan, Lebanon, Libya, Morocco, Tunisia, and Turkey will be accepted. The application deadline is 29 April 2019. The U.S. Embassy in Yaounde (Cameroon) seeks proposals for small-scale community projects that address one or more of the following areas: Social Services; Water, Sanitation and Hygiene (WASH); Income Generating Activities; Environment and Agriculture. Proposed projects have to benefit a large number of people and increase income or improve living conditions of local communities. Grants range from US$2 thousand to US$10 thousand. The Ambassador’s Special Self-Help Fund is limited to locally registered non-profits with at least two years of experience working in Cameroon. Applications have to be submitted by 30 April 2019. OWSD supports female scientists in Sub-Saharan Africa and Least Developed Countries (LDCs) with doctoral fellowships in the natural sciences. The fellowships are for the pursuit of a doctoral degree at a host institution in a developing country, but not in the applicant’s home country. The Fellowship is for two years and provides up to US$50 thousand. Applicants should be qualified young women science graduates (generally below 40 years of age), who have an M.Sc. degree or outstanding B.Sc. in the natural sciences. The eligible scientific fields include agricultural sciences; biological systems and organisms; and many others. Deadline for submission of applications is 30 April 2019. The David Phillips Fellowship (DPF) provides support for UK and international early-career researchers wishing to establish their first independent research group. Proposals can be submitted in any area of science, including agriculture, bioenergy and biotechnology. Awards are up to £1 million for five years. The application deadline is 09 May 2019. VLIR-UOS is the secretariat of Flemish universities for development cooperation, with funding by Belgian Development Cooperation. VLIR-UOS announces courses at Belgian Flemish universities and university colleges that are eligible for scholarships in 2020/21. They include 1-year masters’ programs, along with training courses lasting from two weeks to three months. Subject areas include aquaculture, marine science, plant breeding, nematology, water resources, rural development, and others. Eligibility for scholarships extends to applicants from developing countries in Southeast Asia, Sub-Saharan Africa, and Latin America. The scholarship amount varies with a maximum support of €58,320. Candidates apply directly to the Flemish universities that offer the programs, requesting scholarship support. 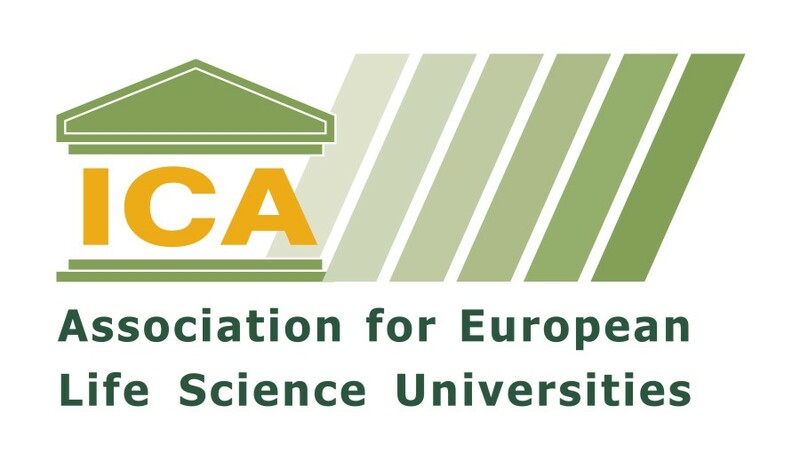 The deadline for submission project proposals to Flemish universities and university colleges is 20 May 2019. The Conservation, Food and Health Foundation supports special projects and programs in the areas of conservation, food, and health in low- and lower-middle-income countries in Asia, Africa, Latin America, and the Middle East. The foundation supports projects that demonstrate local leadership; develop the capacity of local organizations; and address a particular problem or question in the field. Eligibility extends to NGOs, community-based organizations and academic institutions. There is no maximum grant size. The average grant is approx. US$20 thousand. Grants exceeding US$30 thousand are rarely awarded. 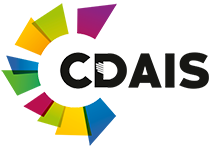 The application deadline for concept notes is 01 July 2019. The Hubert H. Humphrey Fellowship Program supports non-degree academic study and related professional experiences in the U.S. for experienced professionals from countries that are undergoing development or political transition. Fellows are hosted at universities in the USA. Program fields include agriculture and rural development; natural resources, environmental policy, and climate change; and many others. Applications are made through the U.S. Embassies or Binational Fulbright Commissions in eligible countries, with varying deadlines. The embassies and commissions submit their nominations before 01 October to the Institute of International Education office in Washington, DC. The Drucker Institute invites nominations for the Drucker Prize 2019. The prize recognizes innovative non-profit organizations that inspire “change that creates a new dimension of performance”. The winning organization will receive a US$100 thousand prize. Past winners include projects in the field of sustainable energy, small-scale agriculture, rainforest conservation, and many others. Non-profit organizations around the world are eligible to apply. The deadline for applications is 30 April 2019. The World Food Prize Foundation invites nominations for the annual World Food Prize. The World Food Prize (US$250 thousand) recognizes an individual or individuals who have made outstanding achievements to enhance the world’s food production and its distribution to those most in need. The deadline for nominations is 01 May 2019. The Yves Rocher Foundation’s Photography Award shall be awarded to a professional photographer who wishes to make a journalistic study of issues relating to the environment, humanity’s relationship with the planet, or the core challenges to sustainability. Eligibility extends to professional photojournalists who are able to write and speak in French or English. The winner will receive an award of €8 thousand. The closing date for applications is 28 May 2019.